Professional services – e.g. promote your financial advice, equity release, funeral plans, will writing, estate planning and lasting power of attorney services. Job vacancies – Perfect for recruitment agencies and employers. Blogs – Promote your service, brand or products to our half a million visitors. On this page we set out the advantages and benefits you will get from listing your job vacancies, your care home or home care businesses on our site. Further information, including detail of the benefits you will get through partnering with us are detailed on the relevant sections below. Click here for more information on advertising your home care business and getting an enhanced listing. 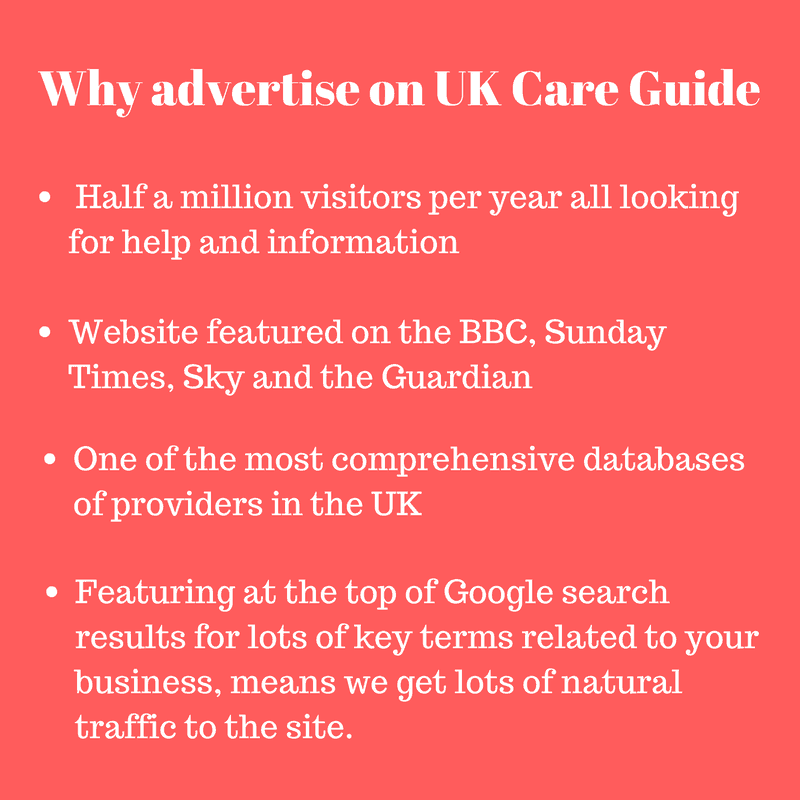 Click here for more information on advertising your care home and getting an enhanced listing. Click here for more information about being listed in our Care Directory. We have a directory of recruitment agencies in the care sector. Our directories are promoted across a range of social media channels. Click here for more information on getting listed. Click here for more information on advertising your jobs or recruitment agency on our exclusive job board. Would you like to raise the profile of your brand, product or business? If so, a sponsored blog may be the option for you!